The Fijian economy takes a hit every time there is massive flooding. Many times, the area worst hit is the Western Division. 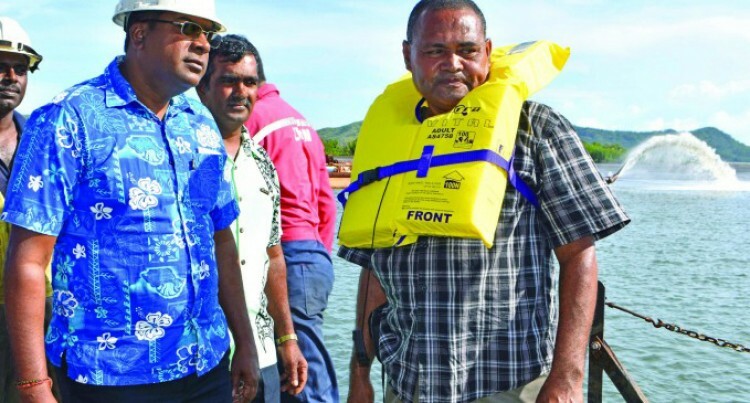 The recent flooding in Nadi, Ba and Rakiraki is one example of what transpires. This problem has not popped up overnight and it will not be solved overnight either. For decades, several feasibility studies have been done to fix the problem of flooding. Due to the effects of climate change, more flash flooding can be expected in the coming years. What can be done? None of the Opposition political parties have directly addressed this issue in their policies. The National Federation Party has mentioned it in Parliament, but SODELPA has not said much about this. Fijians will no doubt be looking at what political parties have got to offer as we head into elections. The Government has formed a Ministry of Waterways which will be responsible for dredging waterways, realigning drainage systems, managing river banks, mitigating flooding and managing storm water. The new ministry under the leadership of Mahendra Reddy is also responsible for coordinating smart agricultural irrigation schemes. Many of our waterways flood frequently, not just the river mouth, but upstream and beyond. This flooding inundates towns and makes roads and our highways impassable. We tend to see floods as an act of God, but often they are the direct result of human activity and human negligence. Heavy silting is the result of decades of neglect, illegal developments, land degradation and changing weather patterns. And we are experiencing excessive flooding because these waterways have not been dredged or maintained for years. The Land and Water Resource Management (LWRM) Division which was within the Ministry of Agriculture is now under the Ministry of Waterways. The Government has also done away with the very cumbersome bureaucratic process of drainage boards. It has allocated $24.2 million in this Budget for the functioning of this ministry, and they are also having discussions with the Green Climate Fund, which is keen to provide funding. .However, more than funding, Fiji also needs technical expertise, and in this context, Government has had discussions with the Global Green Growth Institute also. .In regards Nadi, which is Fiji’s gateway to the world, a feasibility study report on the Nadi River, sponsored by the Japanese Government, estimated the cost at a $385 million over a three-year period to widen and rehabilitate the Nadi River, including building infrastructure like levees and three bridges. Rakiraki has become a major issue now as well. And this is where the focus is. Concrete policies which will provide real solution to the problem of flooding is what Fiji needs.